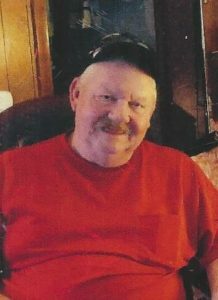 David D. Pate, 59, of Hermon, died on September 13, 2017, at the Hospice of Jefferson County Residence. There will a memorial service on October 14, 2017 at 11:00 am at the Church of Latter Day Saints in Ogdensburg. He is survived by his fiancé Dolores Hunneyman, a son, David “McKenzie” Pate of South Carolina, grandchildren, Kiley and Aubrey. He was born on June 27, 1958 in Calhoun, Alabama, the son of the late Norbert D. and Ethellean Roper Pate, he graduated from Anniston High School and then received an Associate Degree in Mechanics. He was honorably discharged from the U.S. Army in 1978. David was a farmer in North Lawrence. He enjoyed carpentry, mechanical work and tinkering. In lieu of flowers contributions can be made to the Disabled American Veterans. Pauline G. Leonard, 84, of Pyrites, died on September 1, 2017, at her son’s home. There will be no services. She is survived by her sons, Cornelius B. Leonard and his partner Michelle Lalone of Hermon, Calvin (Spook) C. Leonard Jr. and his wife Shayne (Lalone) of Pyrites, siblings, Wayne and his wife Patty Brabaw of Potsdam, Sharon (Ditty) Allen of Pyrites, Marlene and her husband Arnold Cota of Woodruff, SC, grandsons, Michael Leonard and companion Heather Briggs, Anthony Leonard, Christopher Leonard, great grandson Oscar Leonard, several nieces and nephews. She was predeceased, by siblings, Ceylon (Bum) Brabaw, Eunice (Puff) Corbine, Joan Brown, and Bonnie Brabaw. Pauline was born on February 7, 1933 in the Town of Canton, the daughter of the late Ceylon and Jesse Martin Brabaw, she graduated from Canton High School in 1951. She married Calvin Leonard Sr. at the Trinity Church in Potsdam, on November 24, 1954, he predeceased her on January 13, 2011. She was the food service manager at St. Lawrence University until her retirement in 1985. Pauline was a member of the Grief Support Group in Canton and the Canton Senior Citizen Club. She loved being with her family and friends, also living in Florida in the winters. 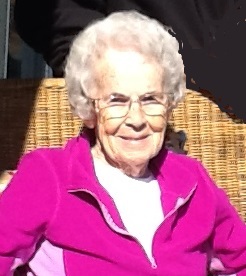 She enjoyed knitting, crocheting, cooking, traveling and going to garage sales. In lieu of flowers contributions can be made to the United Mitochondrial Disease Foundation.